I have a 170" wheelbase Sprinter and 5 100W panels. I plan on bolting the long edges of the panels together to make one large panel, 5 panels wide. I will also bolt the short edges to two 8 foot aluminum angle brackets. Here's an illustration of what I mean. (The light gray lines between the panels indicate where bolts would be, underneath the panels, holding them together. Though, I might use aluminum or steel plates and bolt the plates to the panels using their existing holes. Once that's all done, I'm going to be mounting it onto two Superstruts that I will bolt through my roof. The Superstruts are 10 feet long and mount with the U shape upright. They have special nuts that sit under the lip of the U opening that you can bolt down into. The nuts have little teeth on them to bite into the strut. 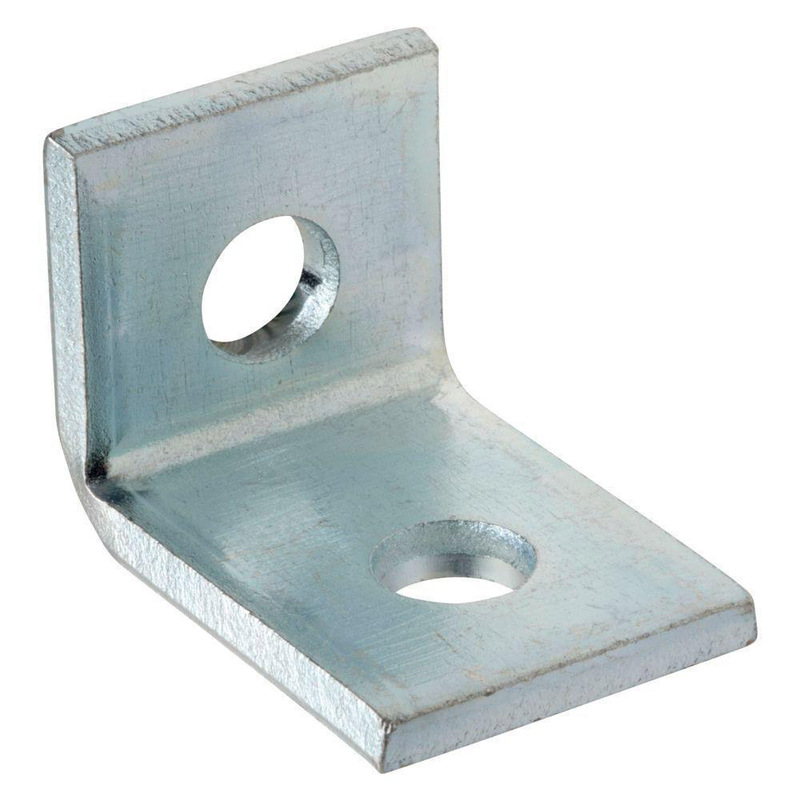 I'm thinking of using four of these heavy duty angle brackets to hold the panels to the Superstruts in such a way that one edge could hinge up for tilting the panels. These might look small in the image, but those holes are over 1/2" in diameter. 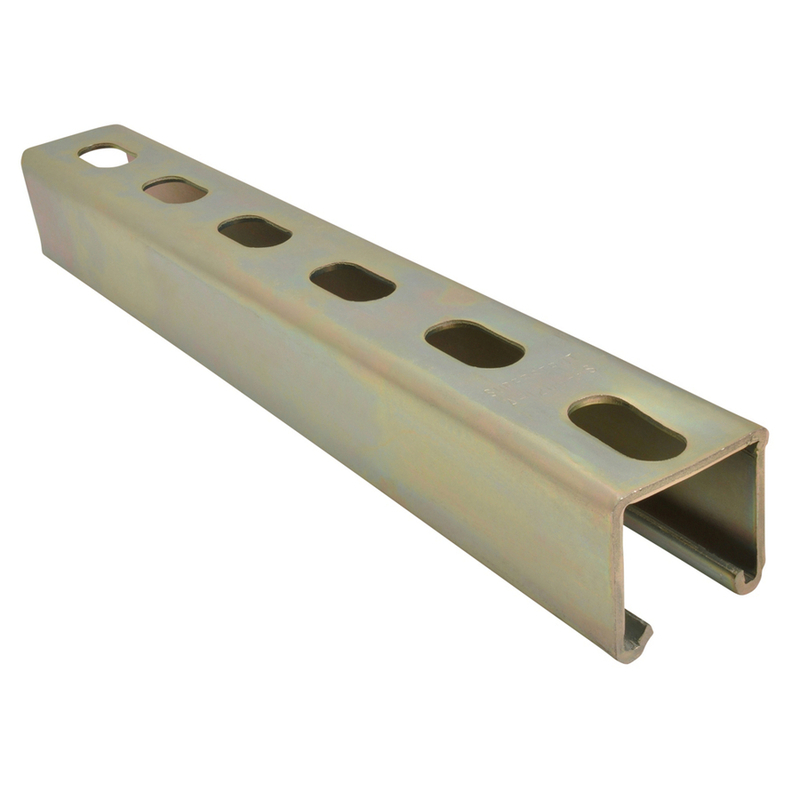 These are seriously heavy duty brackets made for Superstruts. Even if using Loctite thread locker and plenty of torque, there's always the chance that a bolt or two will work its way loose on the highway leading to a catastrophic failure. The panels could fly off the roof and hit another motorist. I'd only lose $550 in panels, but they could injure or kill someone. I'm thinking I need a secondary safety mechanism to prevent this, making the worst case scenario be some damage to the panels themselves or to my van. My first thought was to drill a hole (or pair of holes) at each of the four corners of the combined panels, and thread 1/8" coated steel cable through them, then permanently or temporarily crimping the cable together. 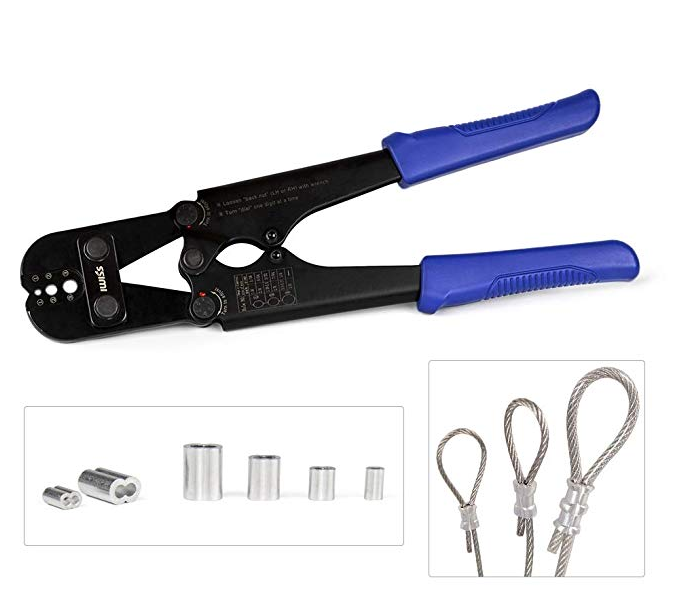 (The image shows temporary crimping hardware. I could also do permanent crimps.) The other end of the cable would go through holes I drill into the sides of the Superstruts, where I'd crimp them again. Then, if the bolts worked themselves loose, the cable would stop the panels from flying off, but they'd probably make a hell of a racket bouncing around, alerting me to the problem. One problem with this idea is I'd like to tilt the panels. I would tilt them all at once as a unit towards the side of the van. I'd either have to only add this safety cable to the hinged side of the panels, or come up with a quick release mechanism for the cable on the tilted edge. One idea I had was to see if I could use PC locking cables. I could thread the cable through holes in the panel, and add the lock to the end. Then I'd probably need some place to stick the lock to prevent it from rattling around. A little mounting bracket of some sort. Then, I could undo the lock, unbolt the panels, and tilt them with whatever tilting mechanism I end up with. In addition, this would add a little security, Especially if I add some kind of knobbed bolt as a quick release. I could use the angle brackets, ratcheting knobs, and rivnuts. The ratcheting knobs can be torqued down pretty well, even with limited space to get your hand around it. 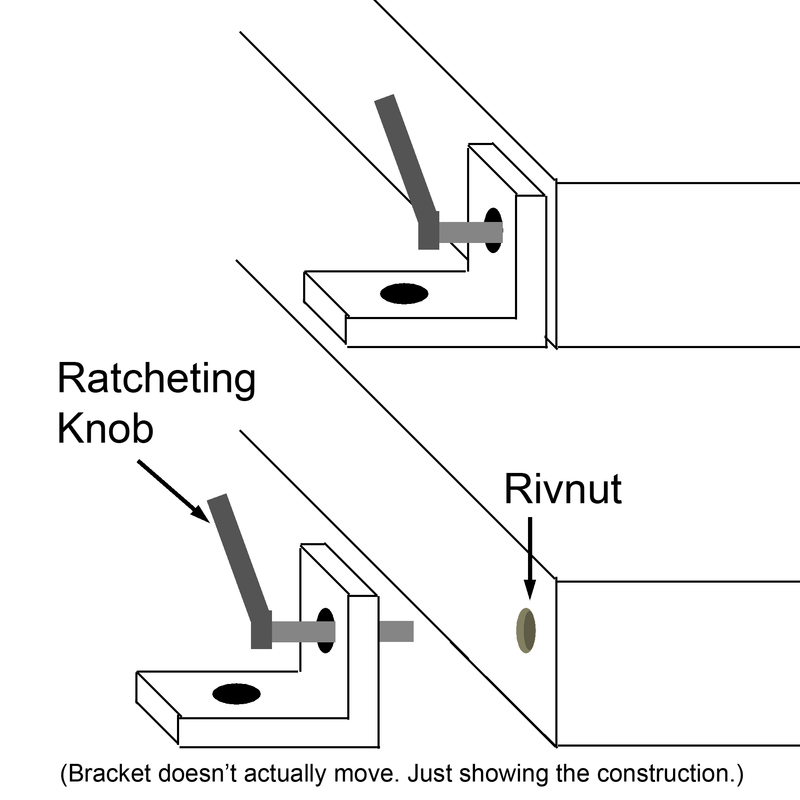 The rivnuts would also be used for the vertical support that keeps the panels tilted up. I could have upright supports with several holes for various latitudes, and use some more of the same knobs. I'd need some wingnuts for the bottom, or female knobs. Instead of cables, I could probably find a way to incorporate locking pins or something similar. They are inherently quick-release, which is nice. I'm having trouble visualizing where they would go, though, especially on the hinged side. On the side that tilts up, maybe I could use a couple of small hasps. And then why use pins when I could lock them! (Panel theft is definitely a risk.) The hasps could be screwed to the panels and Superstruts if I pre-drilled some holes. Maybe I'm too set on trying to use the angle brackets I linked above. Maybe I should use traditional hinges all the way along one edge. With so many hinges and bolts along one edge, it seems like there'd be little to no chance of them all coming loose. I'll just have to figure out a way to attach the hinges to the Superstruts. I don't think I could use those fancy nuts. The bolts would just get in the way. Might have to drill holes on the side and bolt them on that way. Unless I could find some special hinges that had a good amount of clearance between the two plates. Or some sort of offset hinges. 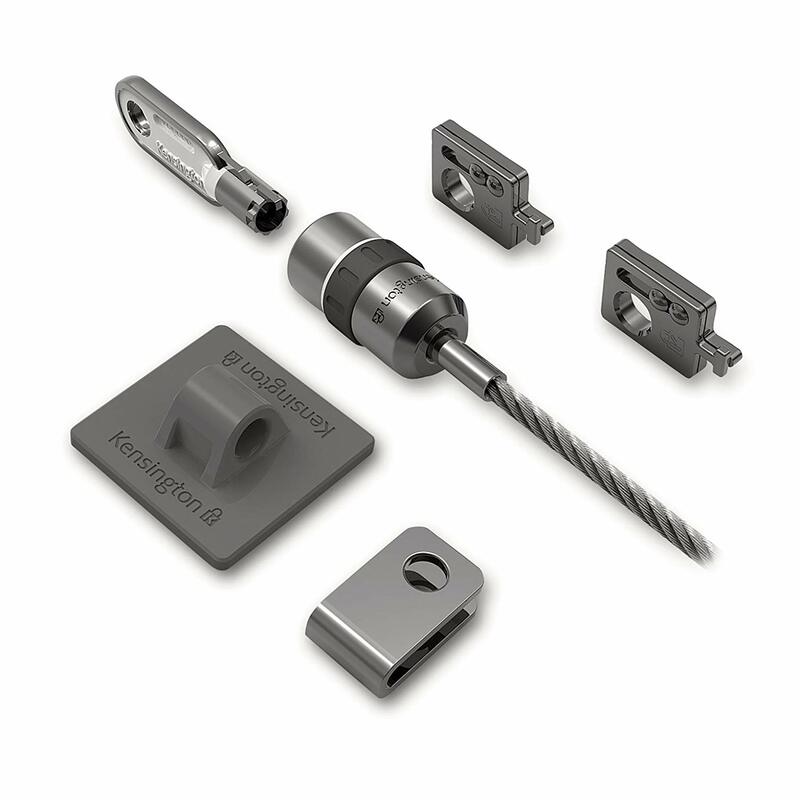 Googling "offset hinges" produced all sorts of interesting results. At this point I'm just thinking out loud. Any other ideas? Has anyone else done something similar? Don't use loctite. 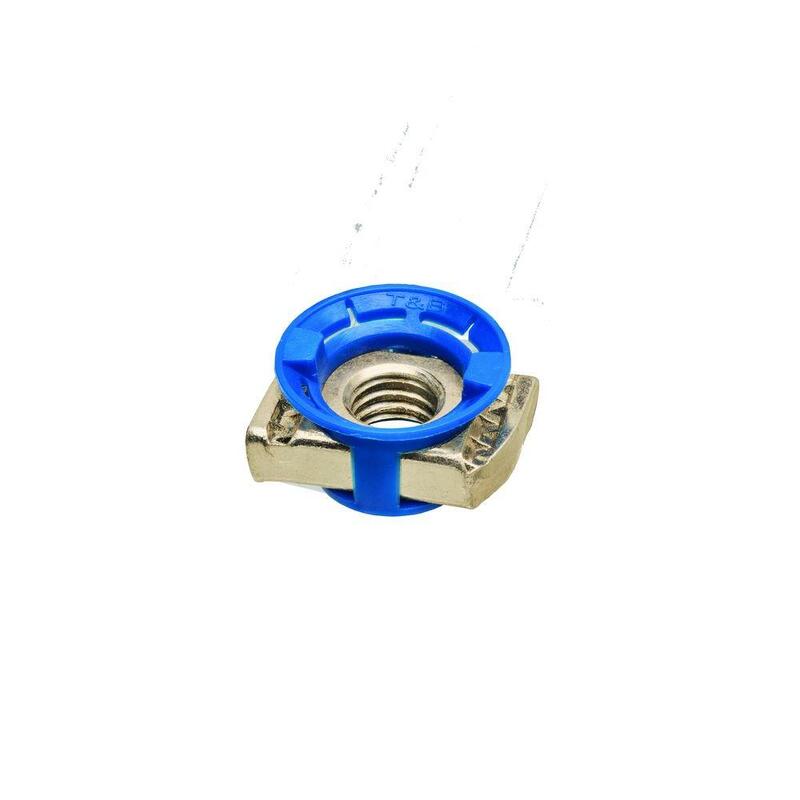 Use SS hardware, and backup the factory nuts with NyLoc nuts. Use anti-size on all the hardware, SS has a nasty habit of galling itself if not lubed. Don't us PC laptop lock gear, it's not rated for any weather and will rust up on you. 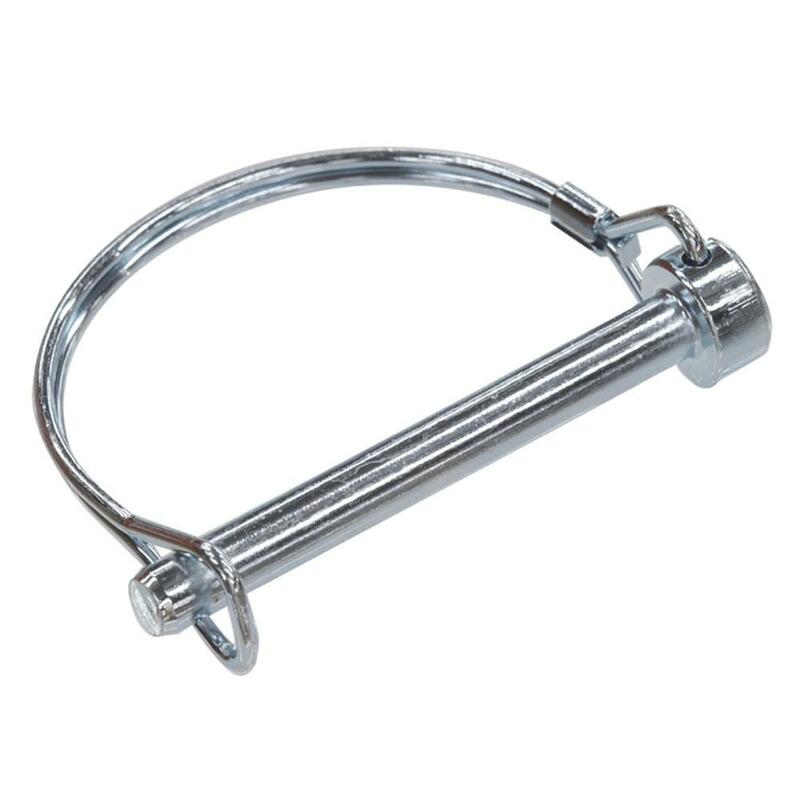 Something like hot rod hood latch pins, with weatherproof locks or hitch pins from tractors, whatever you use, has to take the weather. Superstrut is available in both aluminum and stainless, aluminum will be lighter, galvanized steel will tend to rust, especially where cut and where bolts break the zinc coating, just a thought. I was thinking of using yellow zinc plated grade 8 steel bolts. They are stronger than stainless, but I'm not even sure I even need that much strength. I'm not sure how they compare in terms of overall corrosion resistance. I know that if you scratch through the coating, they'll rust. Thanks for the tips on galling. I'd never heard of that before. Regarding the nylon lock nuts: I use them a lot, but I'm not sure how I'd get them onto the bolts behind the Superstrut nuts. There's not a lot of space in there. The overall dimensions of the struts are 1-5/8" square, and it's heavy gauge metal. Again, not a lot of room in there. Any suggestions? The Superstruts themselves are yellow zinc plated: "...trivalent chromium finish applied over zinc". Their nuts have the same coating. I didn't realize they made aluminum ones. I've never seen them in stores. Looking online, I don't see them either. I see similar products... Unistrut brand? I was just thinking about priming and painting the steel ones with Krylon automotive acrylic. I don't plan on cutting them, but I will need to drill some holes for mounting hasps using metal screws. They could corrode there. I could always paint the hasps, too, screws and holes and all. Or maybe use some lap sealant. What is Rust Converter? Rust Converter, a water-based primer, contains two active ingredients: Tannic acid and an organic polymer. The first ingredient, tannic acid, reacts with iron oxide (rust) and chemically converts it to iron tannate, a dark-colored stable material. Tannins are a group of water- and alcohol-soluble natural products extracted from fruits, trees and grasses. There is anout 1.2 MB of information on this page. Those with slower connections will have to be patient. There is some stuff to read before getting to the results pictures anyway. I have used the phosphoric conversion "acid" based chemicals and found that work very well. Don't know anything about the Tannic Acid versions. I never have had any luck with Navel Jelly. You probably don't need grade 8 bolts... And depending on their hardness and surface treatment (and any post plating heat teratment), you could possibly end up with hydrogen embrittlment. A very nasty problem (high strength steels, water/salt water, plating, high hardness). Nominally, your sturcture should withstand 50 to 100 lbs per square foot of panel (check the ratings of the panels you want to use for snow loading and wind loading numbers). One a larger array--Those loadings can create lots of worrysome stresses in the framework. High strength bolts with hydrogen embrittlement are much more prone to failure at any stress, than low strength steels. 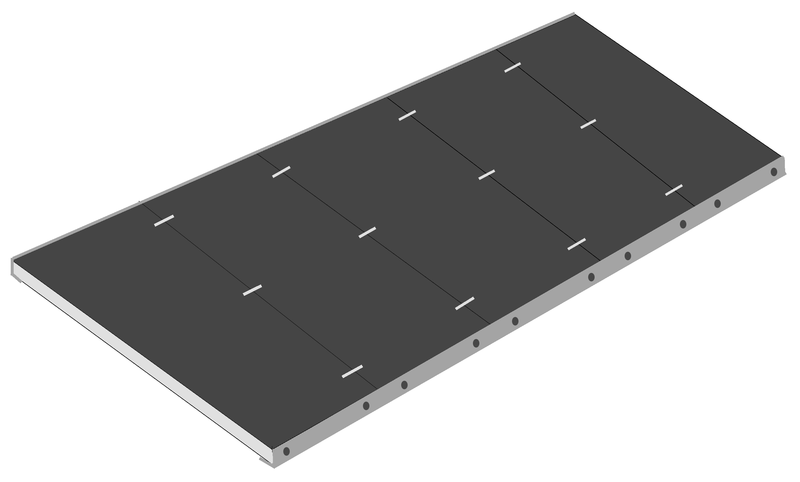 Create an air foil at the leading edge of the array to keep freeway speed wind out from under the panels. Let me be the heretic & cheap charlie here. Fixing mechanisms are ridiculously expensive IMHO when all you really need for most RV-type installations is marine ply, a solar-rated sealant, and suitable screws rated for the material you are drilling through or fixing to. 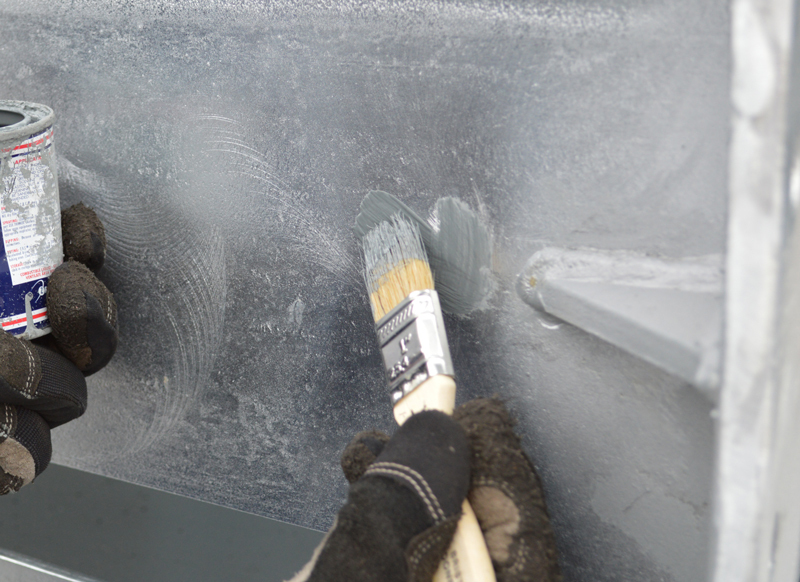 The sealant and the screws are factors you need to determine as per your particular circumstances. 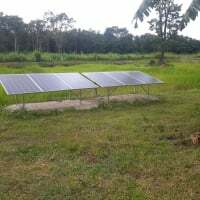 I will use a 150 watt panel as an example. Cut out of a marine ply sheet 6x slightly rectangular pieces of sufficient structural integrity to accommodate two screws to each piece, one screwed to the frame of the panel, and the other to the RV roof. You will need one rectangular piece of marine ply for each corner and one for the middle of each long side of the panel. To assemble, all you need do is screw the ply pieces first to the frame of the panel, making sure there is plenty of sealant between the frame and the ply. This will stop any potential for screws to vibrate out. 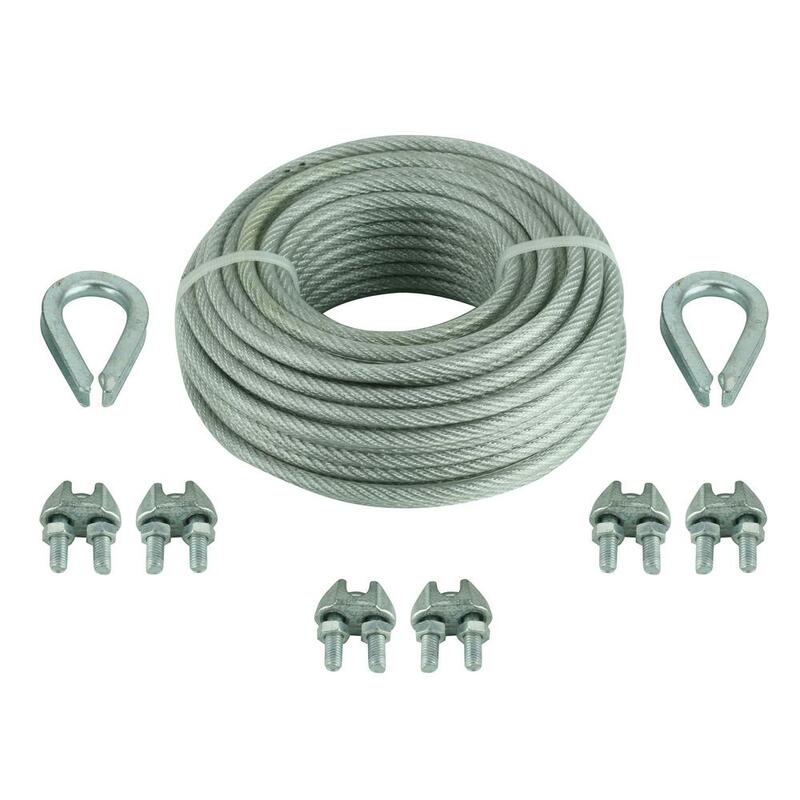 Plus also the screw length and ply depth need be of sufficient dimension so that if a screw does vibrate out it will connect with the roof surface and go no further sufficient to cause a dislocation. Next step, place the panel with the ply pieces on the RV roof and screw into place. Make sure there is a good amount of sealant between the RV roof and the plywood piece. As a further protection, after affixing to the RV roof I would apply two or three heavy coats of UV rated paint to all sun exposed ply. So much for the tilting feature. If the implication is to mount the panels on a sheet of plywood, there would be no, or very little ventilation, resulting in heat buildup, low output and probably shorter lifespan. 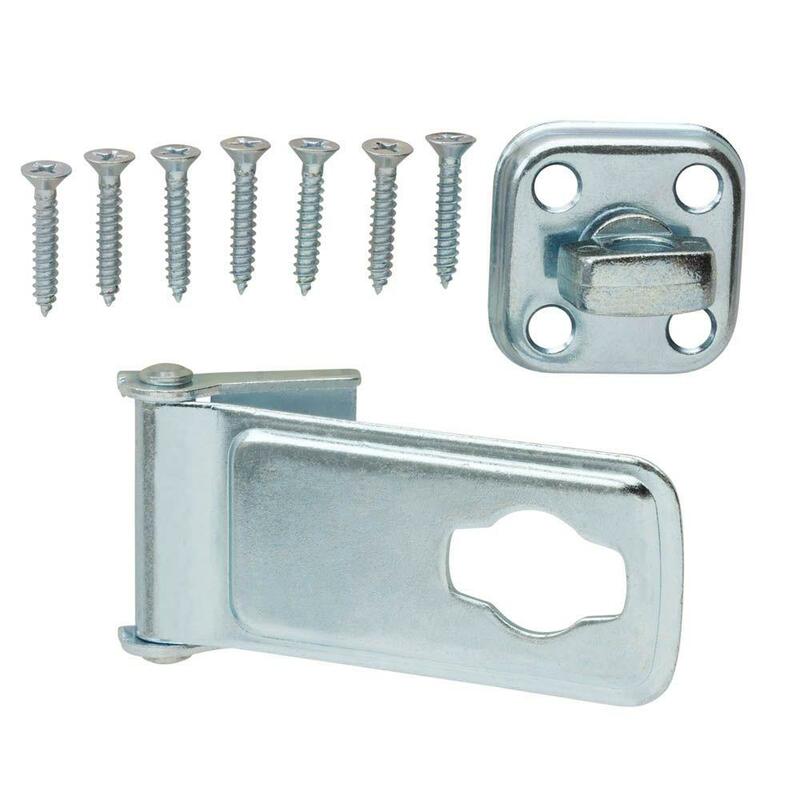 The idea I've always had, as just a thought for mobile applications, would be to use stainless steel casement hinges to achieve tilt, mounted to a ridged frame with lock down clasps for travel. It would be better if each module was independent to limit stress on the hinges themselves, mounted sideways they could achieve optimum angle without shadowing the neighboring modules. The ply is only situated at the corners of the panel and a similar size piece situated in the middle of each of the long sides. Ventilation is not a problem. Granted though it may not look as flash as other fixing systems. But my RV is a 40 year old bus conversion, certainly not of huge value. Wouldn't recommend for a big $$$ late model type RV.